The H-Wave device offers pain relief using rhythmic, non-fatiguing muscle contraction to promote healing of joint, bone, or soft tissue injuries. The low frequency setting increases circulation and oxygenation while the high frequency setting reduces pain. This H-Wave technology creates a homeostatic (balanced) environment for an injured area that enhances tissue regrowth and prevents deterioration. These actions can increase healing time significantly, even after casted, braced, or otherwise immobile limbs. The use of fluid dynamics in this technology reduces acute or chronic pain for long periods of time by removing the cause of pain, inflammation, and damage in the infected area. 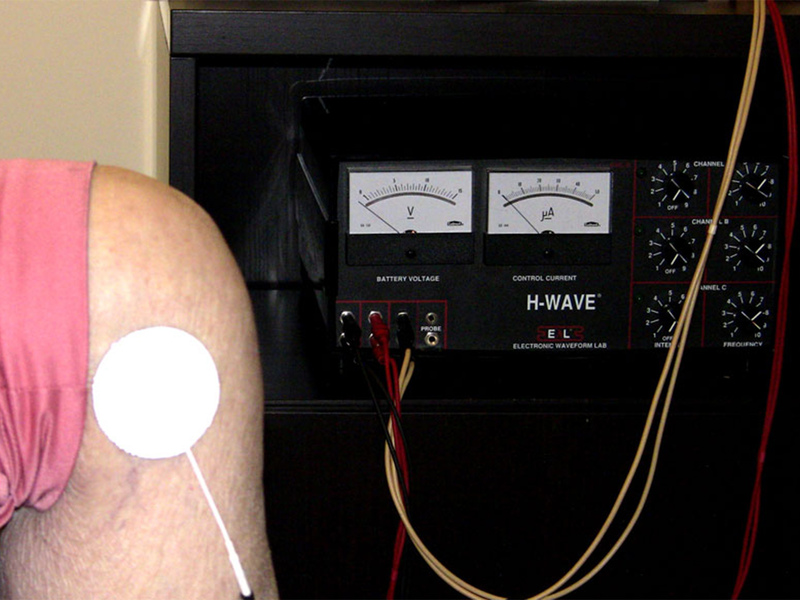 H-Wave is a key method used in sports medicine today. It is also utilized to address neuropathy and accelerate the healing of slow healing ulcers and soft tissue injuries. What are the benefits of H-Wave Therapy? 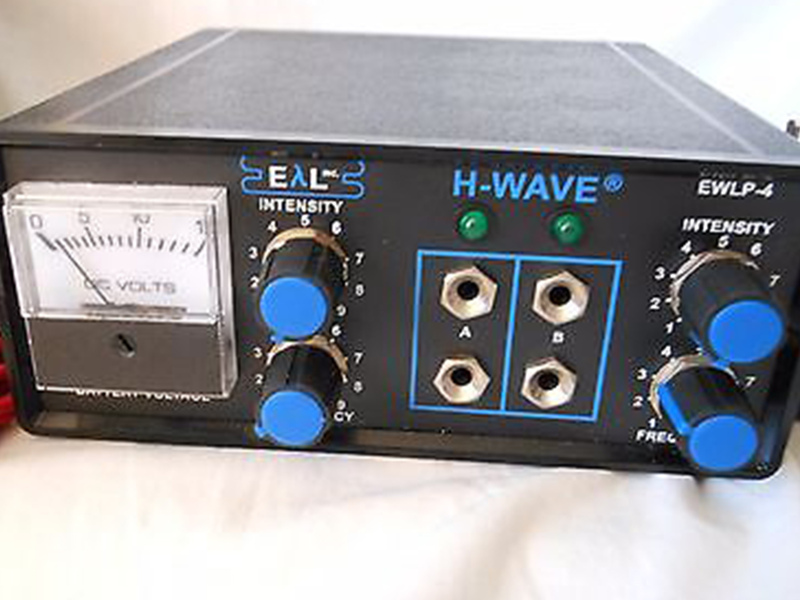 Consistent use of H-Wave is proven to result in significant vasodilation, increased blood flow and angiogenesis (formation of new blood vessels). These are the foundation of recovery as opposed to the masking of symptoms associated with drug use. Research additionally shows measureable and objective results such as increased range of motion, improved activities of daily living (ADLs) and decreased prescription drug use. 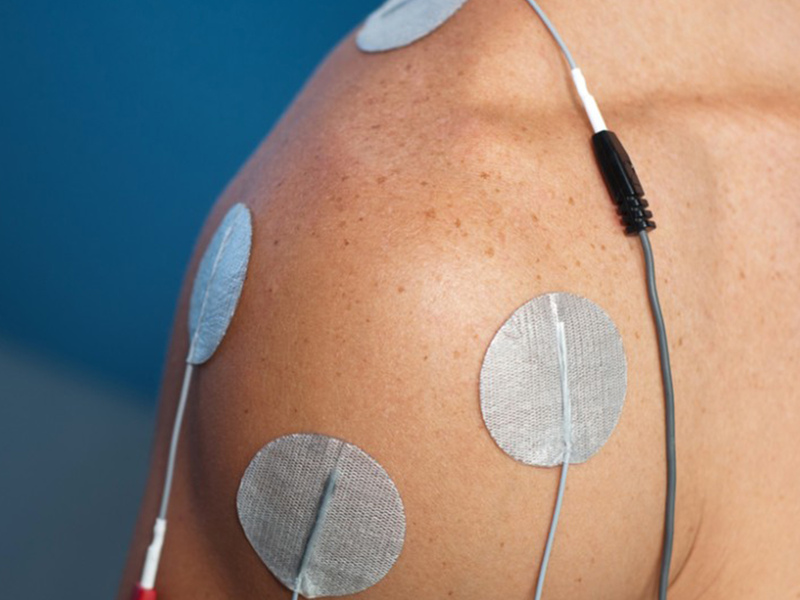 What is the cost for H-Wave Therapy? The cost is $60 for a 35 minute session. Discounts are available for multiple sessions for all technologies when paid in advance.